So many people advised me to visit Northland that I couldn’t wait to discover this remote and northernmost area of New Zealand. That this leg of the journey was poised to be a memorable one became clear shortly after we left Auckland, when we started driving through beautiful hills covered by a thick forest. Part of my excitement was also due to the fact that I was starting to travel around New Zealand with the Stray Bus and after the great experience with the BazBus in South Africa last year, I was curious. During the trip, our minibus driver Gollum (yes, you got it right, although we couldn’t find out if this is his real name or a nickname) told us a lot of interesting stories related to New Zealand, its discovery, the Maori culture (which I would later discover in Rotorua) and the impact of the Europeans who settled in the islands on the landscape and wildlife. Along the way, our first stop was at Parry Kauri Park in Warkworth for a short walk in the forest to admire the beautiful giant kauri trees between loads of silver ferns. With its unique variety of trees and plants and the many shades of green, it was unlike any other forest I’d ever seen, and just enchanting. 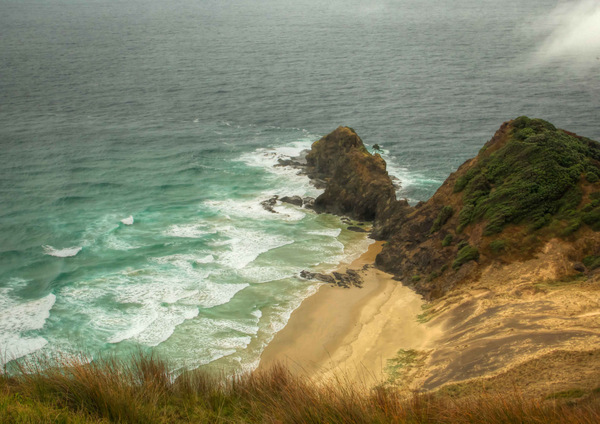 The small coastal town of Pahia, on the edge of the Bay of Islands, is the entry point from east to the wildest and most remote area of Northland: 90 Mile Beach and Cape Reinga. Apart from the daily trips, the only way to spend the night in the area far up north is having a tent or a camper van, as there are no lodges or other accommodation options. 90 Miles Beach, a long stretch of sand bordered by the Tasman Sea. As far as the eyes can see, there is nothing. And I felt like I was in an infinite space. We started the trip under a grey and rainy sky, driving further north along the winding road through the hills and I tried to imagine how beautiful this area must be under a different light. 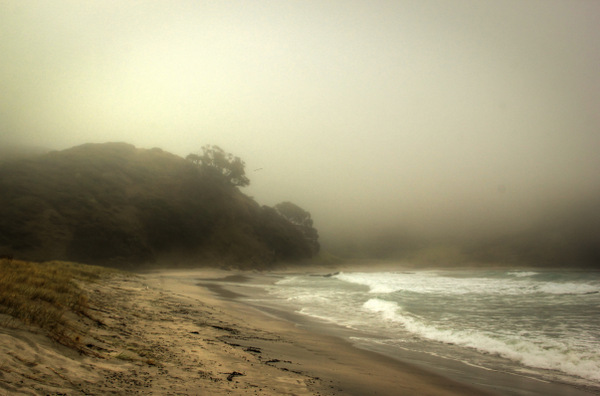 Once arrived at the famous 90 Miles beach (by the way, despite its name it’s not 90 Miles long, but 90 kilometres, and not even the longest beach in New Zealand), a wonderful stretch of sand bordered by the Tasman Sea on one side, sand dunes, forest and bush on the east side, the fog started to clear. The rays of sunshine flickering through the clouds shed a wonderful light on the beach. As far as the eyes could see, there was nothing but sand and sea. A surreal and mesmerizing landscape of incredible beauty. 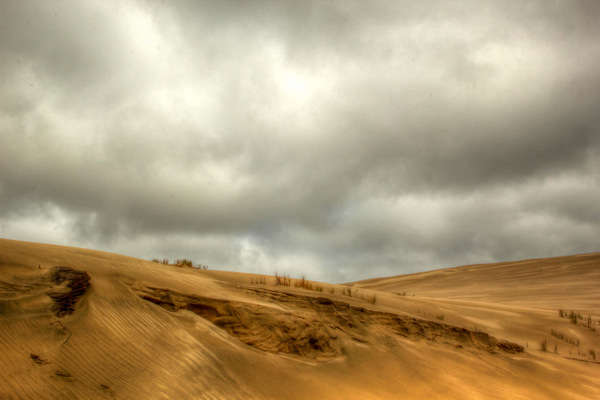 As the bus drove further north, it was like driving along the road to nowhere. Fascinating. 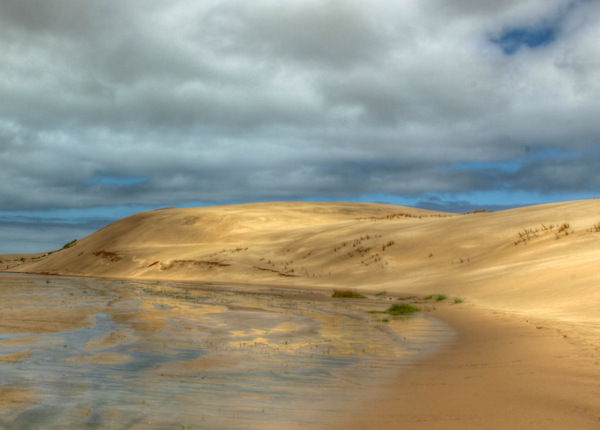 At the northern end of 90 Miles Beach, high sand dunes are perfect for sand boarding and thus a popular stop for everyone heading up to Cape Reinga. It wasn’t my thing (I didn’t like the idea of having sand everywhere for the rest of the day) so I took the chance for a walk alone the Tepaki stream and to take a few more photos of the dunes. Back inland to drive further north we plunged again in the fog, which gave the surrounding scenery a sort of surreal and mysterious atmosphere. 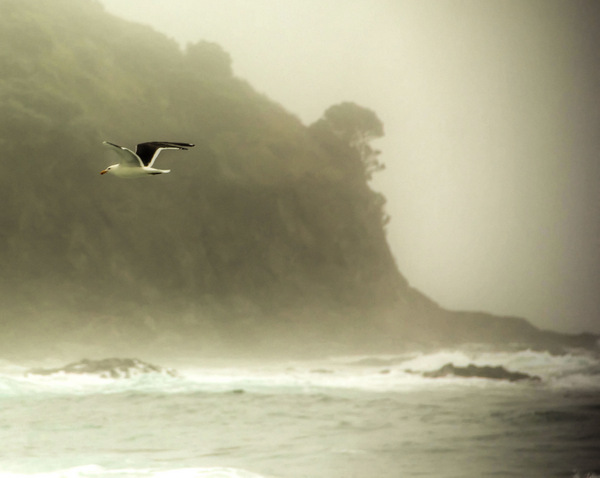 And then, we eventually reached Cape Reinga, where the Tasman Sea and the Pacific Ocean meet, the place from where, according to the Maori legend, the souls leave to go back to Hawaiki, their spiritual homeland. 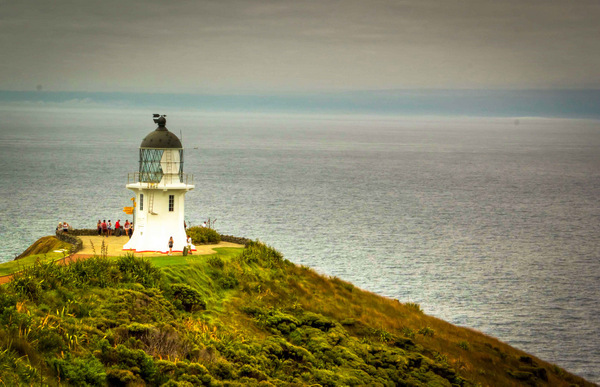 More impressive than Cape Reinga (whose fascination comes more from the legends surrounding it) is the view on the surrounding wild beaches, forests and hills. At that moment, I wished I could have walked along the hiking path and stopped in one of these remote beaches for at least one night. On the way back to Pahia, more hills and forests, a beautiful scenery enhanced by the sun which eventually decided to come out. A last stop in Mangonui, a little beach resort, to taste what is considered by many the best fish and chips in New Zealand. I couldn’t say if it’s the number one, but for sure it was the best fish and chips I ever had, so don’t miss to stop there if you get the chance. Have you been to Northland? What were your impressions? Note: Warm thanks to Tourism New Zealand, which kindly provided me with an Explore NZ Card entitling me to a number of free or discounted activities. More thanks to Stray Bus for the awesome comprehensive Stray Everywhere pass to travel across North and South Island on their hop-on-hop-off buses. Although blessed by all these free things, my enthusiasm was driven by such an awe-inspiring scenery. That first photo was just mind-bending … infinite beach indeed! Thanks, James. That beach is definitely… endless 🙂 and beautiful! Hi Simon, loved that you gave the Far North some love. 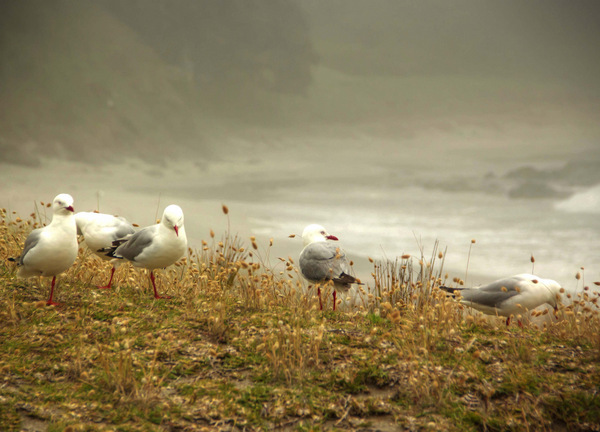 It’s often looked over – especially due to what those silly people down in the Bay of Islands tell you about no accommodations north of Kerikeri. I can assure you, as Kate did, that this is NOT the case. 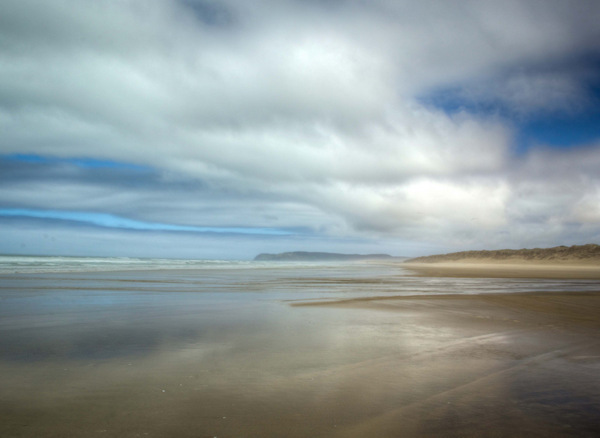 In fact, one of the North Island’s best hostels is right on 90Mile beach in Ahipara – Endless Summer Lodge. Glad you did make the trip though! I absolutely love the photos. A couple of years ago we did a campervan trip around that part of NZ, all the way up to the lighthouse, and we enjoyed it all lot. Did you get to see “Tane Mahuta” the largest Kauri tree in NZ? SOOOOO glad you loved it, Simon! Gutted that we didn’t get a chance to catch up while you were there, since you were so close to my expat home! Kaitaia is a small, humble little place, not all that flash, but you’ll find the most amazing people and scenery if you give it a chance. I only visited South Island, but Bay of Islands is on my list when I return. Love your photos! Looks absolutely beautiful! I’m considering hiring a car and doing this myself, with a friend. I’m living in Auckland at the moment. Can’t wait to head North, looks gorgeous! You’ll love Northland, Beverly. And with your own car, you’ll be able to experience the best of it. Gorgeous photos! We spent a lot of time in Northland when we were in NZ and I agree that the scenery is spectacular…nice food up there too. that looks amazing! and so different than the image of New Zealand in my head! Thank you, Kami. I was ot sure what to expect about Northland and found it absolutely stunning.